Dewberry Group is the force behind a truly groundbreaking and dynamic hotel brand whose flagship, The Dewberry, located in Charleston, South Carolina, delivers a distinctive, personalized experience in one of the country’s most illustrious locales. Throughout its history, Dewberry Group has created a number of market-leading office and workplace sector investments. Dewberry Group currently owns and operates a portfolio of world-class mixed-use developments. The organization's talented and inspired team brings hands-on experience in architecture & design, marketing, management, leasing and development to each of its investments. In the real estate industry, a company is ultimately judged by its stewardship of the properties it has acquired and developed. Dewberry Group is no exception. We are proud to possess a portfolio along the Eastern Seaboard in key urban areas and path of progress markets such as Atlanta, Georgia; Charleston, South Carolina; Richmond, Virginia; Charlottesville, Virginia; and Jacksonville, Florida, in which our creativity and expertise have resulted in assets that, have or will, maximize value and positively impact their respective communities. 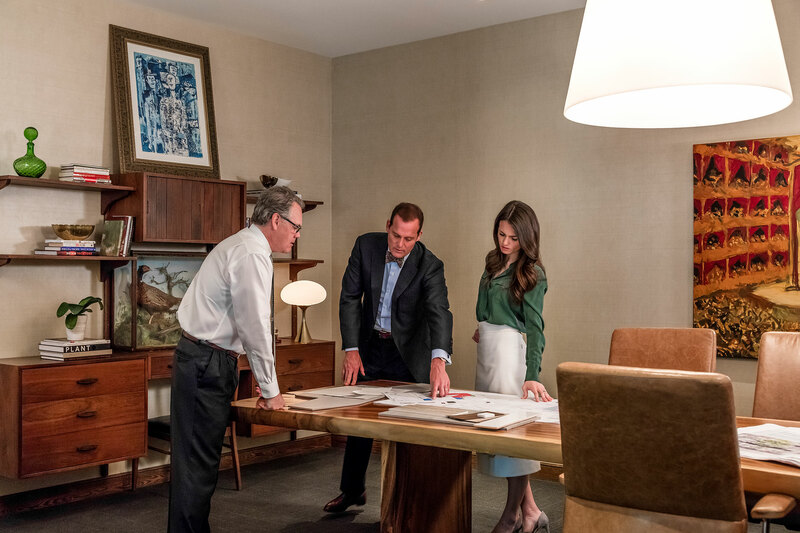 Led by John Dewberry’s discerning eye and uncompromising expectations for quality, we consistently bring elegance to our properties. Where others simply see property, we see the potential for life-enhancing design. With an in-house creative team to execute, Studio Dewberry maximizes the intrinsic value of each asset while minimizing unnecessary expenditures. Dewberry Group by the numbers. Truly unique properties in the Southeast’s major markets. Twenty years ago, CEO John Dewberry had strong premonitions that development, and therefore residents and businesses, would repopulate urban America. As a result, Atlanta’s urban core, in particular, Midtown, would see phenomenal growth and therefore become the leading community to propel Atlanta to true 24/7 city status. Mr. Dewberry acted on his vision by purchasing land and buildings amid the urban ambivalence and today, Dewberry Group has emerged as the world’s largest owner of existing and to-be-developed land along Peachtree Street in Midtown and Uptown, Atlanta. Over the next decade, Dewberry Group will build premier live, work, shop and play developments on currently owned Midtown and Uptown, Atlanta property, representing approximately 10 million square feet and more than $5 billion in development value.